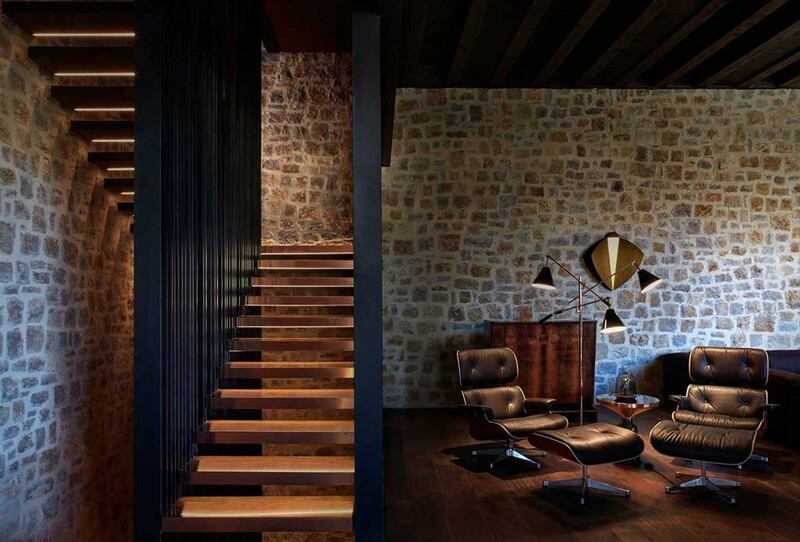 House in Rubielos de Mora is a project designed by Ramon Esteve. The essence of this project is a refurbishment of a stately house, the traditional rural house that forms the old quarter of Rubielos de Mora and so the surroundings of our building. Rubielos de Mora, “the Gate of Aragón”, is located in the southern area of the county of Gudar-Javalambre. When you visit it you understand why it was designated a place of historical and artistic interest in 1980, it received the Europa Nostra Award in 1983 and it was selected one of the “Most Beautiful Villages in Spain” in 2013. The traditional architecture is looked upon with a modern view so the house blends into its historical surroundings but it is also related to our present time. The external façade adheres to the style, materials, colours and proportion between solid and void of the historic buildings around. The façade and party wall of the house are completed according to the alignment of façades, following the guidelines of the old quarter. The strategy used in the core of the house is not noticeable from the outside. An interior courtyard has been created as a private space where the house opens itself. The house has a hidden private façade opening to the inner courtyard. This façade is much more open and modern, it is orientated to the best direction, and frames and defines the intimate views over the courtyard. This entry was posted in bathroom, bedroom, house, kitchen, living and tagged bathroom, bedroom, house, house idea, houseidea, kitchen, living, myhouseidea, Ramon Esteve, Rubielos de Mora on November 24, 2018 by admin.